Sus Hi Eatstation has been one of my favorite quick spots in East Orlando for the couple years I’ve been living on this side of town! 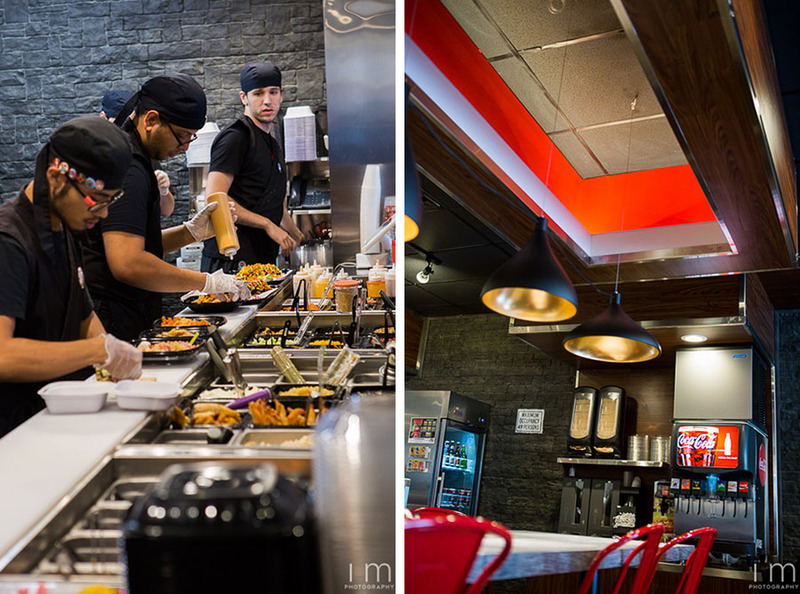 Every time I would stop in I would be greeted with a resounding “Hello, Ninja!” and served fresh and delicious food prepared the way I like it. When Elysia told me that they were opening a brand new location in Altamonte, for sure I had to stop in and check out the new place. I got a bite and got to chat with Grand Master Fun Ly while I was there! Read on for more! Sus Hi’s Dojos have embraced a culture of Fun, Passion, Creativity, and Integrity. Grand Master Fun Ly a.k.a. 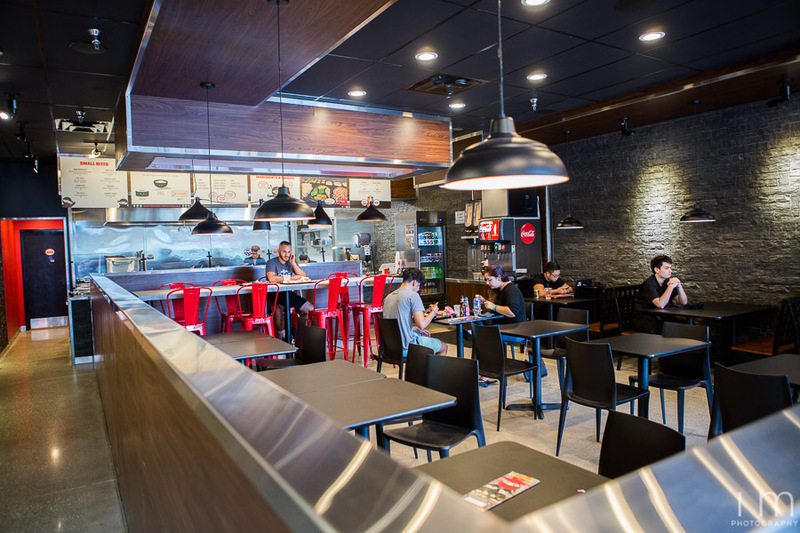 Robert Ly built Sus Hi around these tenets, and it emanates from everything from the photos on the wall, to the wood and stone decor, to the free form fast casual menu, to chants of “Fire!” behind the bar. At their dojos, there are no “employees, only ninjas; there are no “managers” , only head ninjas. 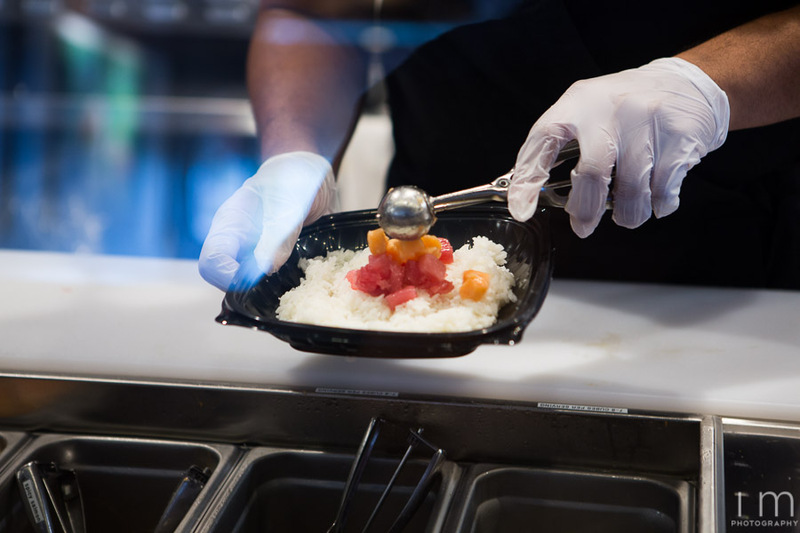 Grand Masters Fun Ly and Miso Eel are no strangers to business. From a young age, Fun Ly was involved in the running of his parents’ restaurants, and Miso Eel helped out at her parents’ market. They wanted to take everything they knew from running businesses and create something new. 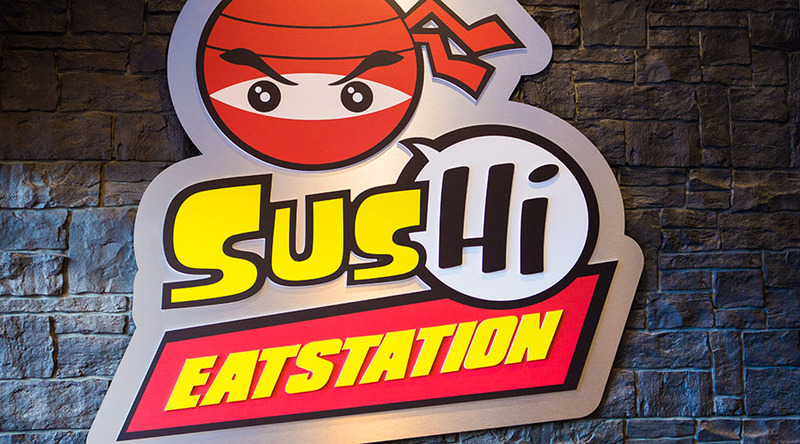 Sus Hi Eatstation was born from the desire to create a new quick casual concept in a genre that hasn’t been represented in the quick casual market thus far. When you walk up to the bar, the ninjas guide you through the creative process. 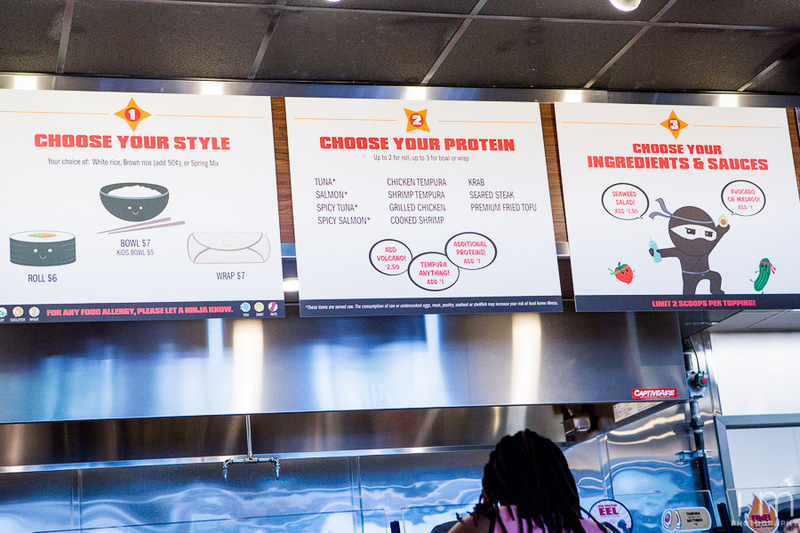 You start with your choice of a roll, bowl, or wrap and white or brown rice! 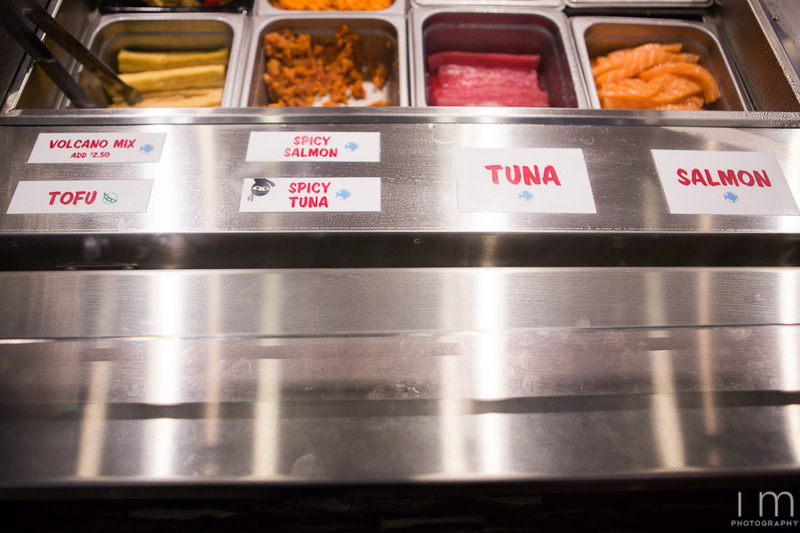 From there, you’re given a choice of proteins ranging from fresh tuna, tofu, and fried shrimp and chicken. 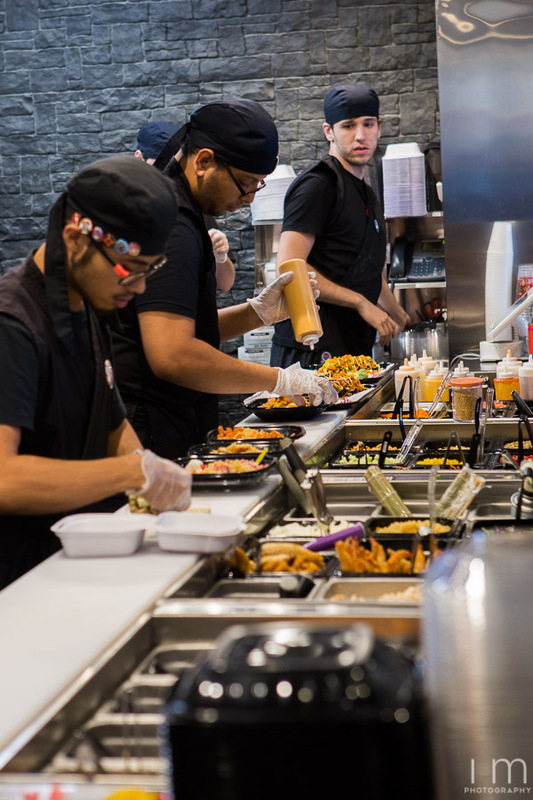 After that there’s a wild amount of fix ins that you can choose from to compliment: scallions, seaweed salad, masago, carrots, and cheese! 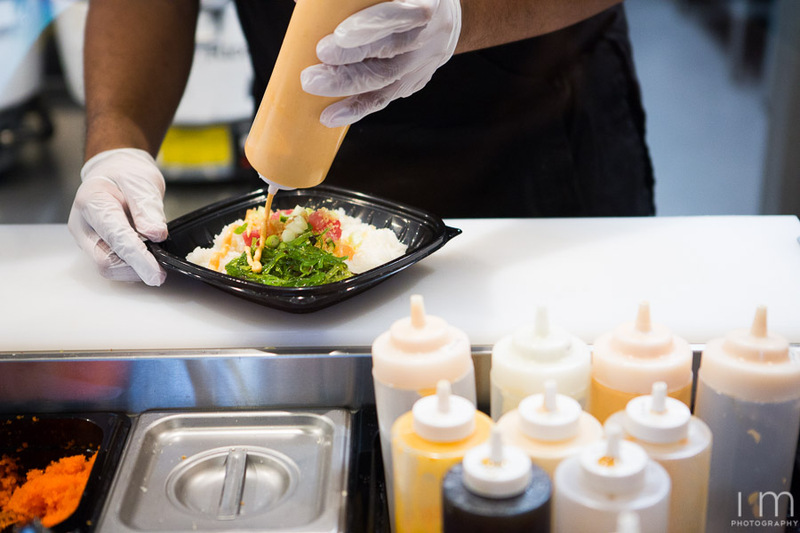 Top it off with their selection of 16 different sauces. They also have a selection of beer, sake, ramune, and soda as well as edamame, dumplings, rangoons, and egg rolls to compliment your entree! 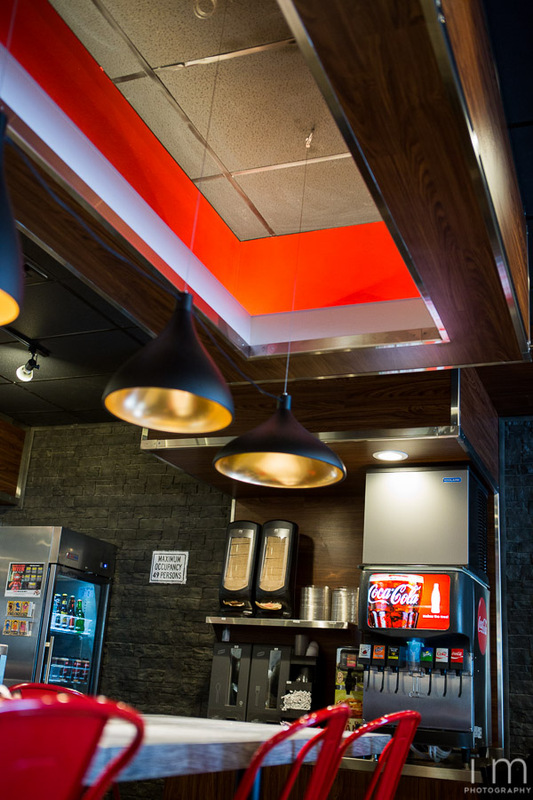 Check out their full menu here! I usually spring for the bowl when I come here. Fresh fish, tempura flakes, seaweed salad, cucumbers, scallions, and spicy mayo is my go-to setup. I love the combination of the sweet, salty, and spicy flavors in the seaweed salad and spicy mayo to compliment the freshness of the cucumbers. 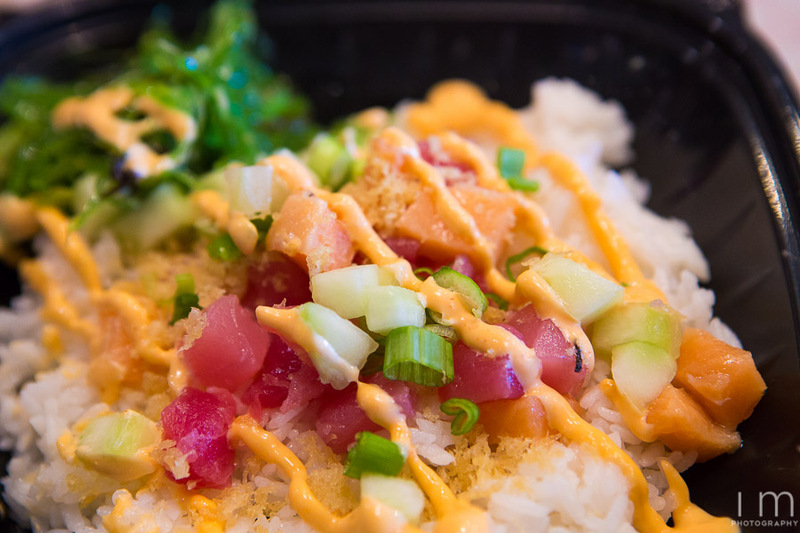 The crunch of the tempura flakes is a perfect contrast to the fish and rice as well! Don’t take my word for it, try it! 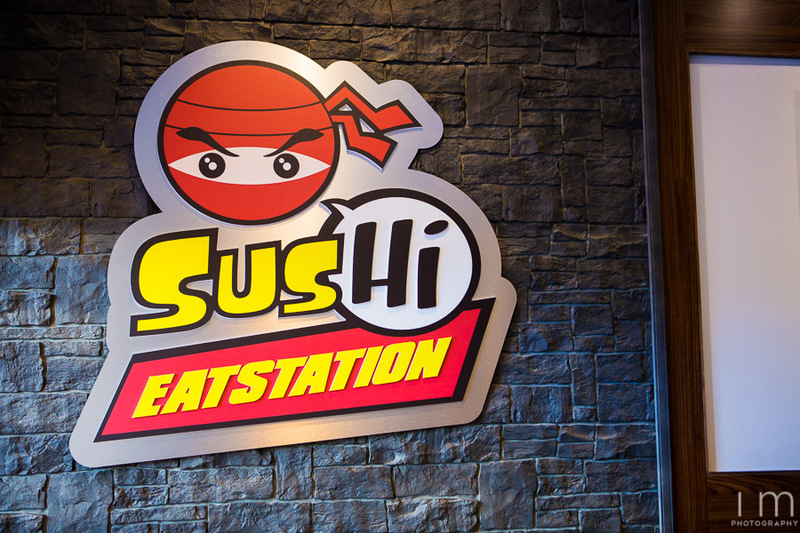 Sus Hi Eatstation in Altamonte Springs is now open! Their Grand Opening is this week and there are still a couple more days to enjoy their specials! 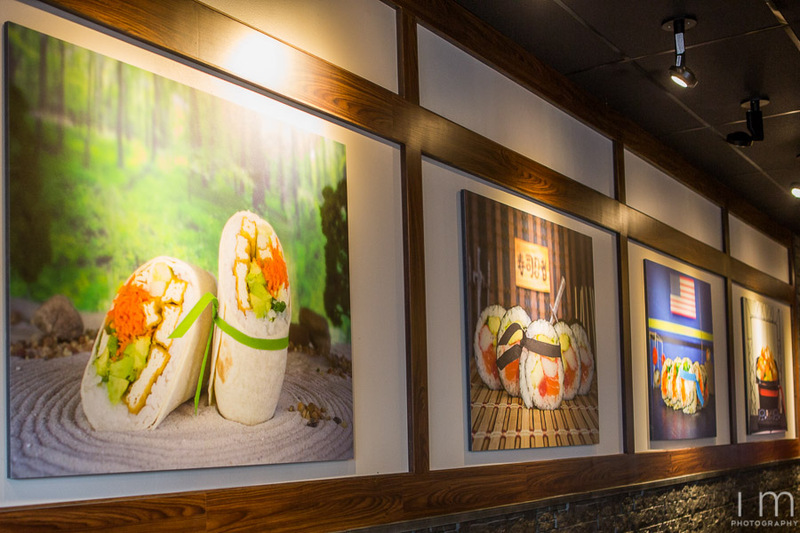 I love this place for a quick and affordable stop for sushi. If you’ve never been, go check out either of their locations, they’re both great. Full information and addresses below! 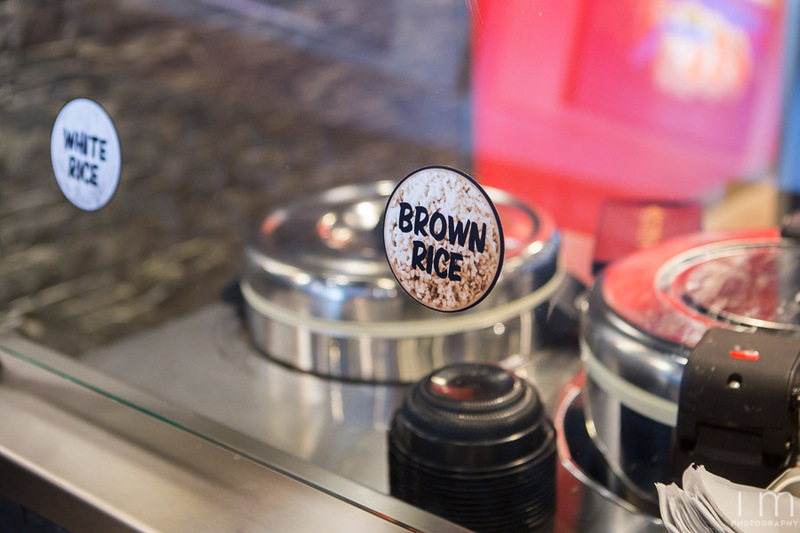 Open 11 am – 10 pm everyday! MegaCon 2016 Recap! »« MetroCon 2016 Recap!